Applications: applied to small-medium sewage disposal plants which regard landfill and building material utilization as final aims; especially applied to sewage plant and industrial park sewage departments which have to meet the requirements of upgrading and reconstructions and deodorization; also applied to disposing sludge with toxic and harmful matters. Sludge incineration is a kind of technique of sludge disposal. It heat and dry dehydrated sludge by incineration furnace. Then oxidize organic matters by hot temperature, which will makes sludge into small amount of ashes. It is a disposal method which fulfills minimization, stabilization and harmlessness. 2. Wet sludge is sent to rotor dryer by sludge conveyor. The rotation of rotary shaft drives sludge move forward. Sludge is heated and dried in drying machine. Finally, sludge is sent to incineration system by sludge cooler. 3. Tail gas dried contains much water evaporation which will be led to tail gas purification system after getting through condensator. 4. Evaporation capacity of single rotor dryer is 830 to 6700 kg per hour. The highest sludge disposal capacity of single machine is 25 to 200 L/d (assume the moisture content is 80%). 1. Automatic control system: taking advantage of Rockwell automation compact structure, it combines logix control platform with factory talk, which achieves full-automatic control. 2. Tail gas purification: cyclone dust collector, condensation cooling, water spray and comprehensive cleaning device; deodorization system created by Taida makes workshop without odors. Dehydrated sludge with 80% moisture content is sent to rotary drum drying system. After being dried, sludge will enter incineration device after fully mixing with proportional oxidizers. Residua will be discharged from bottom. Flue gas produced by incineration will return to rotor dryer quickly to for heating and drying sludge. Dehydrated tail gas will be discharged after being pontificated by purification system. A. Sludge feed machine: sludge is sent to incinerator consistently, uniformly and stably. B. 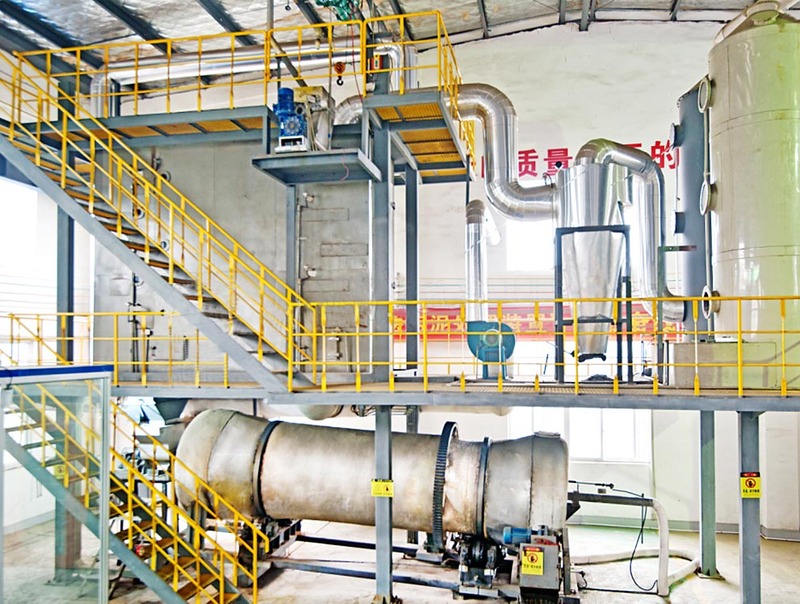 Incinerator: it is used to incinerate partially dried sludge so that to meet requirements of sludge disposal; include ignition and standby firing system. C. Combustion air system: include primary air, secondary air; whether secondary air is set or not is decided according to process characteristics. D. Deslag and sand adding system: these system discharge furnace slag discontinuously. Then cooling, screening, conveying and storing furnace slag; due to the tapping slag of incinerator, furnace charge is reduced. As a result, materials and sand should be added. E. Thermal insulation system: it is used to heat preservation of relevant equipment and systems. F. Auxiliary system：It can be applied to switch on, stop, start up and run equipment in any situations (normal or abnormal). G. Equipment supports; maintenance platform and stairs; all pipelines and supports, valves, dashboard, couplings, foundation bolts, binding bolts, cables and crane span structure. H. Electric accessories: (if working temperature of electricity distribution system can’t be guaranteed after adopting forced ventilation and heat thermal insulation measures), electricity distribution cabinet and control cabinet with air conditioner should be provided. At present, there is a test center, WGF005/A-I-001, established by our company. Its daily handling capacity is 5 tons for sludge with 80% moisture content. Expect you come to our test center for trial burning.